When OPEC speaks, the world listens in rapt attention as it accounts for nearly 40 % of the world’s total crude output. With its headquarters in Vienna, Austria, one of the mandates of 12- member OPEC is to "ensure the stabilization of oil markets in order to secure an efficient, economic and regular supply of petroleum to consumers, a steady income to producers, and a fair return on capital for those investing in the petroleum industry." (Source: opec.org). 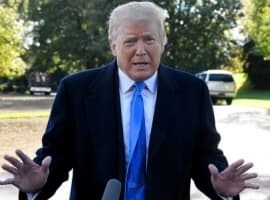 However, OPEC has been in the line of fire from the western world in light of its stance of not reducing the production levels of its member nations (excluding Iran). Most view this as a strategy to squeeze the American shale production and other non OPEC nations. With the huge reduction in its revenues and growing discomfort among its members such as Venezuela, Libya and Nigeria over its current production levels, is OPEC really getting weaker? Iran Nuclear Deal: A warning sign for OPEC? 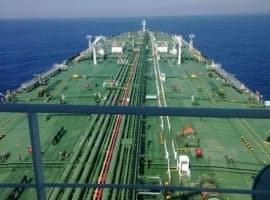 With announcement of a historic nuclear deal framework between Iran and six global powers: America, France, Britain, China, Russia and Germany on April2, 2015, there is a good possibility that Iranian crude oil exports will increase greatly after June 2015 when the final nuclear deal is signed. Iran is all set to pump close to 300 million barrels of crude into the market, thereby kick starting another potential decline in oil prices. This might be one of the most crucial junctures for OPEC and it has to consider the possibility of reducing its current production quotas, mostly due to its internal issues of which the cartel has many. Containing some of the largest proven oil and gas reserves in the world, Venezuela is one of the founding members of OPEC. However, the country is reeling under a major economic recession since 2014 with an inflation rate of 68.5% (as on December 2014). 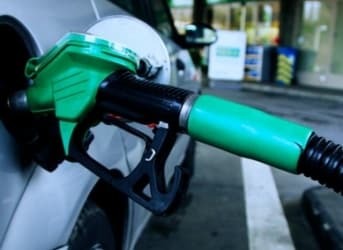 For a nation that is suffering from shortage of basic requirements such as food and toilet paper, any further reduction in oil prices would result in a total economic collapse. Therefore, it would be in Venezuela’s interests to reduce its production levels especially after the Iran nuclear deal. Nigeria is Africa’s largest oil producer and among the top 5 global exporters of LNG. An OPEC member since 1971, Nigeria’s oil and gas sector represents about 75% of its total government revenues and 95% of its total export revenues. The African nation’s economy is heavily dependent on crude oil prices as its foreign exchange reserves (built as a result of net positive oil revenues) have reduced substantially over the past two years. Much like Venezuela, Nigeria needs international crude prices to be in the range of $90- $100 a barrel which is not possible unless OPEC reduces its supply. After Saudi Arabia, Iraq is the biggest crude oil producer in OPEC. It also has the fifth largest proven crude oil reserves in the world. With an increase in its government budget spending, the country requires a stable international oil price of $105 per barrel to achieve its break-even point. The current oil price levels are nowhere near this. Apart from this, issues such as the ongoing ISIS insurgency, western sanctions, heavy economic dependency on oil (more than 90%) and poor infrastructure have added to Iraq’s woes. Related: Who’s To Blame For The Oil Price Crash? Apart from being the largest exporter of the total petroleum liquids in the world, Saudi Arabia is also the main driving force behind the cartel’s stubborn supply policy. The Saudis, along with Kuwait and UAE have been defending the decision of not reducing the OPEC production levels in order to retain their global market share. It is interesting to note that even if the oil price remains at the current levels, Saudi Arabia, Kuwait and UAE would have enough cash reserves to remain in the game for several years. In short, these OPEC heavyweights have little to worry about from the current low oil prices for the time being. In December 2014, the Energy Information Administration warned OPEC to reduce their production levels. According to the EIA, these cuts would be helpful for OPEC members such as Venezuela, Nigeria, Iraq and Iran as reduced OPEC supply and the corresponding increase in oil price would safeguard their uncertain future economic growth. Leaving the heavyweights to one side; it is quite evident that OPEC, as a group, has become somewhat weakened. Apart from its falling export revenues and the growth of non OPEC producers, especially US shale production, OPEC now stands divided into two factions. One faction that is being led by Saudi Arabia wants to maintain and even increase its production levels while the other faction consisting of Venezuela, Nigeria, Iran, Iraq and Algeria requires just the opposite for safeguarding their national interests. In fact, the latter requires crude prices to be as high as $100 per barrel in order to balance their falling budgets (Source: IMF). A number of mitigating factors make this year’s June meeting of OPEC more interesting than ever. How is oil cheap? The real price of oil stands at 50% more than its average in the 1990's. The Brent price is nearly double the production cost of major producers on the Arabian Peninsula and Russia. OPEC and others became accustomed to massive, cartel-driven profits. These windfall profits drove relatively uneconomical players into tight oil in North America. Oil was expensive but that doesn't mean it has become historically cheap. OPEC is not in the drivers seat. The economics of oil have been turned upside down by US Shale. The US is the only major consumer who is also a massive producer. The reason this is critical is US production has a huge advantage in transportation costs to refineries down the road rather than around the world. Even the Saudis have trouble beating the US costs to produce and transport the oil as a combined cost. And there is also the reality of inventory carrying costs. Oil takes months to transport from the middle east to the refineries and time costs $$. The Saudis & allies have settle on a strategy that stalls US development and guts their enemies in Iran, Venezuela, and Russia. The MSM's are also ignoring the fact that the Saudis and Co. have sold most of their oil under long term contracts which never hit $100. So the fall in revenue is not as sever as reports claim and it also means the Saudis are in much better financial shape at the price of $50. Most long term contracts were around $80 and some of those contracts are just winding down. Iran, Russian and allies though sold through the spot market to maximize each barrel and they have seen the huge drop. forget OPEC. Frackers are in debt up up their eyeballs and laying off every where you look. The Saudis and the renewable revolution are crushing them like a rotten grapes. There are several fallacies in this argument. Most importantly, the US shale producers are not the target. Second, the other OPEC members don't want to cut production, they want Saudi Arabia to cut production in order to increase the price they get for their oil. Saudi Arabia has made it clear that it will not unilaterally cut production. Finally, leaving OPEC in order to increase production would be counter-productive since it would simply increase the excess supply and depress prices further. The only coherent option for members of OPEC is an agreement for everybody to cut production by the same percentage. Unpalatable as this will be, the alternative is worse.